The FA are leaving no stone unturned in their search for Roy Hodgson’s replacement as manager of the England national team, and are currently seeking talks with two of the Premier League’s most high-profile managers. 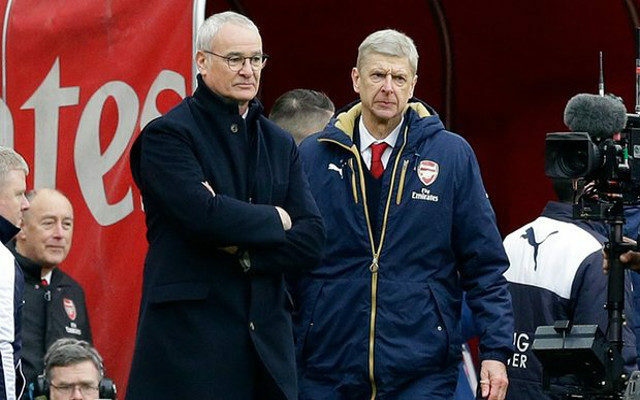 According to the Telegraph, the FA have identified Arsenal manager Arsene Wenger and Leicester City manager Claudio, though they are particularly keen on sounding out Wenger for the job. Wenger has managed Arsenal for twenty years and won the Premier League title in 1998, 2002 and 2004. The 66-year-old Wenger is under contract with the Gunners for one more year, and the Telegraph reported that the French manager is ‘not opposed’ to taking the job if the timing was right. The Telegraph also reported that Wenger is holding out on accepting a contract extension with Arsenal before seeing how the 2016-17 season shapes up. Ranieri, the second candidate, made his return to English football with Leicester City last summer after a disastrous spell as manager of the Greece national team. The 64-year-old Italian manager made history by leading Leicester City to an improbable Premier League title in his first English coaching job in over a decade.